Enjoy the comforts of the budget-friendly Retro Inn in Cortez, Colorado. 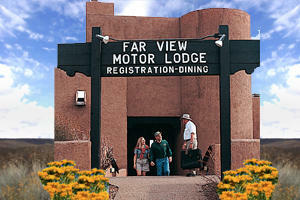 Conveniently located near the Colorado Welcome Center, Mesa Verde National Park, Ute Mountain Casino, wineries, and more. This property offers a complimentary continental breakfast, 39 clean, spacious rooms, Wi-Fi, coffeemaker, microwave, and mini refrigerator. The Holiday Inn Express, Mesa Verde-Cortez features deluxe accommodations suited to both business travelers and family vacationer. We combine the warmth and pride of family ownership and operation, with the amenities and efficiency found in "big city" hotels.